This DJ event is in conjunction with the WAX TRAX! Documentary weekend at the Chicago’s Vic Theatre Saturday April, 1 2017. In addition to being featured in the WAX TRAX! 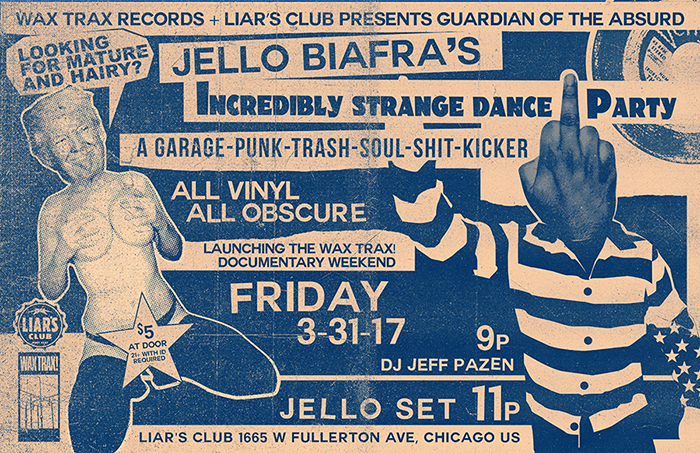 documentary, Jello will be appearing live at the Vic Theatre for a special panel discussion related to the independent WAX TRAX! store, label and founders Jim Nash and Dannie Flesher.